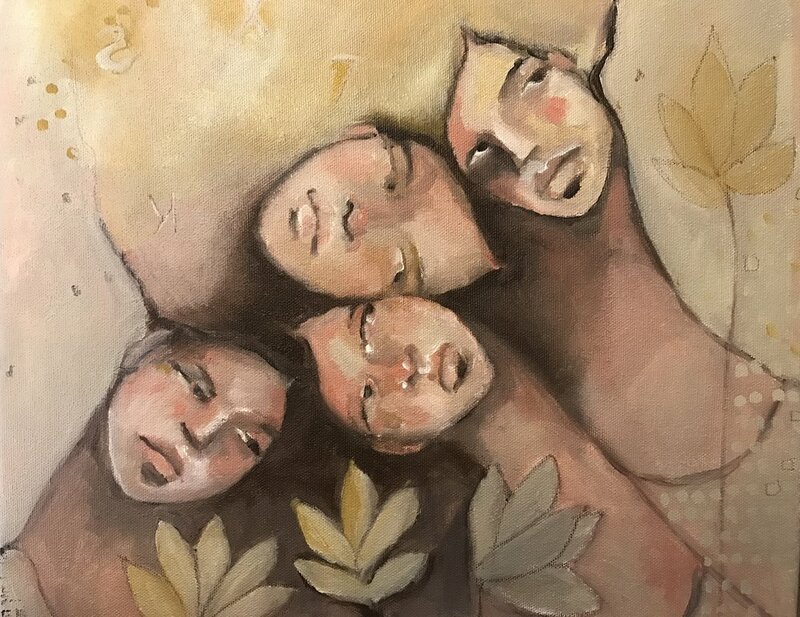 I think this might always be my favourite theme to paint, the togetherness and the preciousness and the complexities of these bonds is as intriguing to me as any other mystery. I've always had the privilege of having beautiful, strong and caring women in my life. Some younger but mostly older. Some blood, some not. I've been shown immeasurable kindness through my life by extraordinary woman and for this I am so grateful. Each one has had their place and what I do know is that each one has left their mark. I hope that my girls will continue to have this bond with me through their lives as much as with each other and with their own daughters or daughter-in-laws one day. And that they will allow other remarkable women to show them immeasurable kindness as well as be that to others too. Long may we share in our vulnerability and open ourselves up to deeper connectivity.